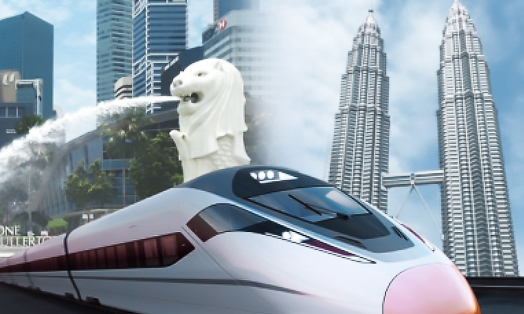 PETALING JAYA: MyHSR Corp Sdn Bhd has awarded the reference design consultant (RDC) contracts for the Kuala Lumpur-Singapore High Speed Rail (HSR) project, after an international open tender process, which began in August 2016. The six contracts have been awarded to Systra S.A., Jacobs Engineering Services Sdn Bhd, Ranhill Consulting Sdn Bhd, HSS Integrated Sdn Bhd (HSSI) and AECOM Perunding Sdn Bhd. The overall scope of work includes international stations at Bandar Malaysia and Iskandar Puteri; five domestic stations at Putrajaya, Seremban, Malacca, Muar and Batu Pahat; and the alignment civil works from Bandar Malaysia station to the International Border between Malaysia and Singapore. “The RDC contracts tender was another step forward as we enter into the next phase of shaping the project. The appointed consultants carry the responsibility of designing what the stations will look like and finalising the civil infrastructure, such as the HSR bridges and tunnels,” MyHSR CEO Mohd Nur Ismal Mohamed Kamal said in a statement yesterday. “As the civil infrastructure will traverse approximately 335km, we have divided up the work into six packages, attracting specialist consultants for the specific work to be completed. I am very happy that the appointed consultants comprise international and domestic parties who are very reputable and experienced,” he added. In a filing with Bursa Malaysia yesterday, HSS Engineers Bhd (HEB) said the contract awarded to HSSI is for 12 months with a value of RM17.89 million (excluding Goods and Services Tax) and is expected to commence within the second quarter of 2017. HSSI and HEB’s wholly owned subsidiary HSS Engineering Sdn Bhd will collaborate exclusively to execute and complete the contract, which is expected to contribute positively to the group’s revenue, earnings and net assets for the financial year ending 2017.